Mosquito Enemy believes in fast effective courtesy service with a smile. We offer same day service if you have called in before 12:00 noon. Let’s face it life is hectic enough, when your home for the afternoons and weekends you want to enjoy your favorite beverage on your back yard deck mosquito and tick free. 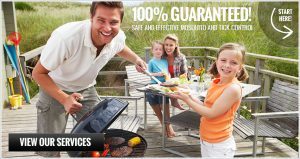 Control of mosquitoes and ticks starts with choosing a professional thats right for your family and pets you can trust. 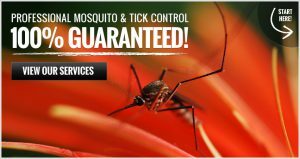 Mosquito Enemy has licensed, Insured and trained pest control professionals. We are very specific to vector insects and stay laser focused and up to date on any new products and pratices of control. Just in the last few years we have had to switch our focus on mosquito viruses that have reappeared such as zika, chikungunya, yellow fever, saint louis encephalitis, western equine encephalitis, eastern equine encephalitis(Triple E) just to name a few. As for ticks there are newer and more effective ways to treat them then ever before. Just last year it has been recorded that the lone star tick is in the North Shore areas of Massachusetts. With this information we had to change our treatment areas as their habits are different then that of the deer tick also know as the black legged ticks or the american dog ticks that we have been treating for. Lyme disease is just one of several diseases that can be a life changer for humans. Borrelia miyamotoi, Babesiosis, Rocky Mountain Spotted Fever, Tularemia, Human Granulocytic Anaplasmosis are a few other tick borne diseases that are here in Massachusetts. This is why you need a tick control professional to treat your yard and stay abreast of what changes are happening in your home town. The lookout for this year of vector insects is shaping up to be one of abundance. Both weather conditions and temperatures are in their favor. Isn’t it time for you to consider hiring a professional to rid your yard of these insects?